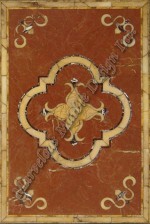 This excellently made mosaic is specifically meant to help accent your bathroom marble design. 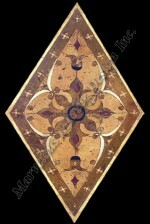 It is made from majestic marbles in gold, white and brownish tones styled in the most delightful ornate design. Its enchanting beauty is sure to enrich its surrounding with warmth and sophistication. 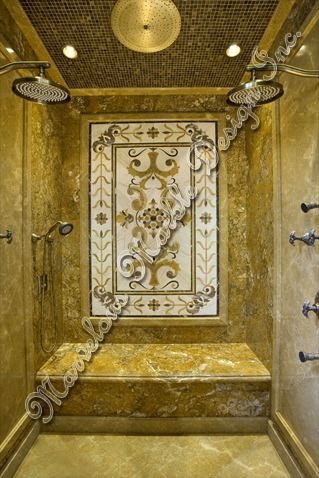 This bathroom marble design are carefully mined and processed in italy. 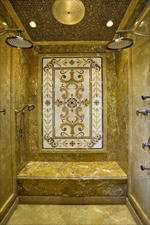 This elegant bathroom marble design with square, circle and scroll shapes perfectly arranged to create a mystical focal point. The balance in the elements in this mosaic is truly amazing. 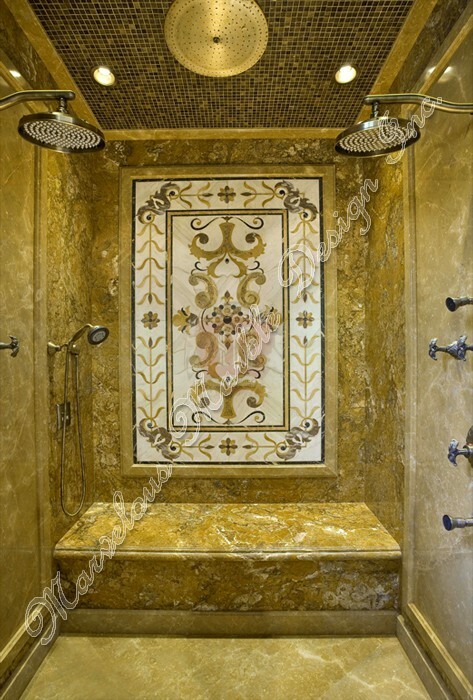 This bathroom marble design in its beautiful demeanor is an adornment of great value for high end homes in Vancouver and Philadelphia.